Electronic Brick - Temperature and Humidity Sensor Pro can be used to detect the humidity and temperature of environment at the same time.Compared to the DHT11, this sensor is more precise, more accurate and works in a bigger range of temperature/humidity. 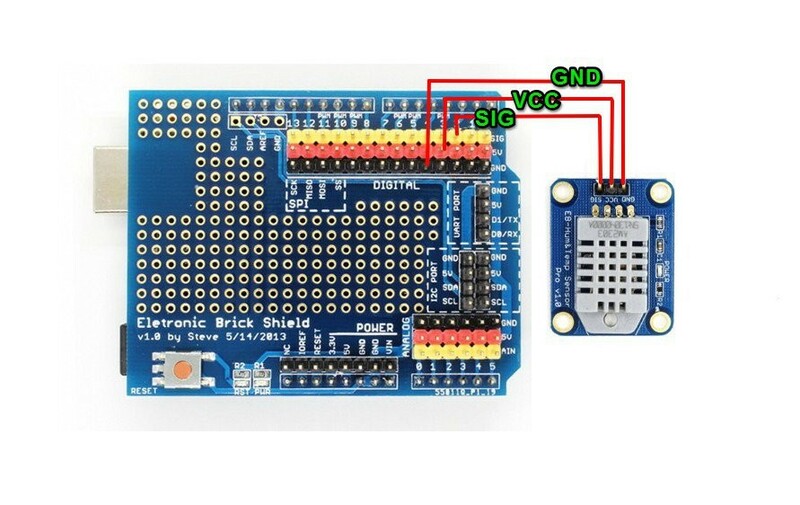 The following steps show how to use EB - Temperature and Humidity Sensor Pro with Makerduino. 4. 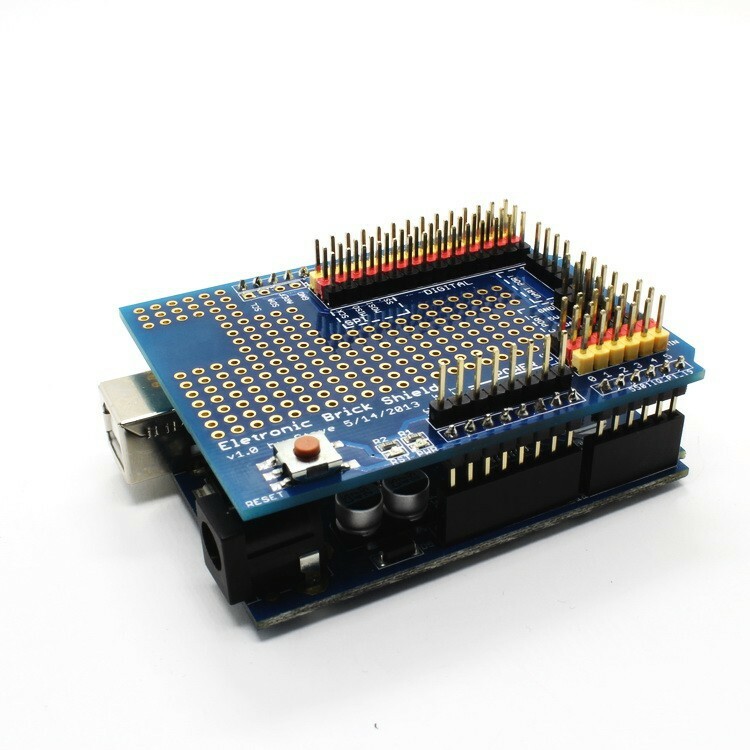 Download the Makerduino demo code EB - Temperature and Humidity Sensor Pro.zip. Unzip the code directly into the libraries folder. 5. Open Makerduino IDE, choose the right Board and Serial Port. Open the sketch EB_HumandTempSensorPro.ino and upload it to the Makerduino. 6. Check the Results. After the sketch is successfully uploaded, let's open the Serial Monitor. The Monitor will display following information. Find EB - Temperature and Humidity Sensor Pro.zip to download schematic and other material.